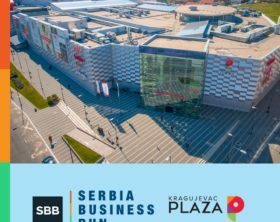 Kragujevac Plaza, a shopping center in Serbia owned by NEPI Rockcastle, has pledged its support to “Kragujevac Business Run”, the biggest team building event in Kragujevac taking place in Šumarice on the 25th of April. 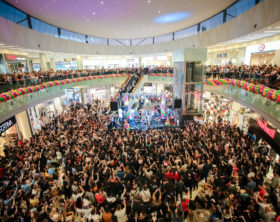 Kragujevac Plaza, a shopping center in Serbia owned by NEPI Rockcastle, celebrated its birthday on the 24th and 25th of March with a range of events, discounts and entertainment activities. 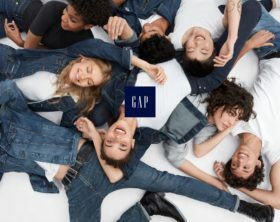 GAP Inc, an American fashion retailer, has this month opened its new store on the ground floor of Arena Centar in Zagreb, Croatia. Kragujevac Plaza, a shopping center in Serbia owned by NEPI Rockastle, announced that it has updated and modernized its food court area in order to provide a better quality of stay to its visitors. The mall is also set to welcome new international and local brands this spring. 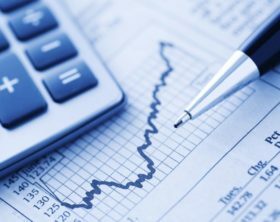 NEPI Rockastle (NEPI), the leading property investor, operator and developer in Central and Eastern Europe (CEE), published its financial results for the year ending on the 31st of December 2018. New Yorker, a German fashion retailer, opened its first store in Romanian town Satu Mare, located within the newly built mall Shopping City Satu Mare, on the 5th of December. Adidas, a leading German sports brand, opened its first mono-brand store in Novi Sad, located within Promenada shopping center, on the 6th of December. 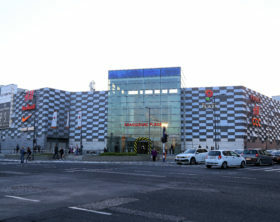 Shopping City Satu Mare, a new shopping center in Romania developed by NEPI Rockcastle, opened on the 5th of December. The mall is an investment of 40 million EUR. Beosport, a Serbian fashion and sports retailer, opened five new stores in Promenada Novi Sad shopping center on the 15th of November. The new openings include Beosport and BS Beosport multi-brand stores and three mono-brand units: Nine West, Dune London and Skechers. Promenada Novi Sad, the largest shopping center in Serbia located on the corner of Bulevar Oslobođenja and Cara Lazara streets, will officially open its doors to the public on the 15th of November. Promenada Novi Sad is the future largest shopping center in Serbia. The mall is currently being built by New Europe Property Investments Rockcastle (NEPI Rockcastle), and is scheduled to open its doors to the public by the end of 2018. Univerexport, Serbian food retailer, announced that it will open its most modern hypermarket in Serbia, located within Promenada Novi Sad shopping center, by the end of 2018. New Europe Property Investments Rockcastle (NEPI Rockcastle), a leading commercial property investor and developer in Central and Eastern Europe, will bring its ‘Promenada’ retail concept, which blends fashion, dining, and entertainment, to Bulgaria’s second largest city, Plovdiv.